I used to love writing; I mean, I really lived for it. I wrote daily. A large part of self-promotion as a photographer comes down to the written word – blogging, clever social media posts, client and potential client interactions, and so on. For the past few years, I found my ideas and words to accompany my images would come in spurts, further and further between as time passed. Writing became a chore, so I didn’t do it as often as I should. I thought, “Maybe you just don’t enjoy it like you used to.” But I knew that was not true. I still had (have) dreams of one day writing a novel. So what was holding me back? Even now, this is the most difficult piece I’ve written in a very long time. I’ve had it drafted in my head for over a month. I just couldn’t sit down and put the words to paper, or keyboard. A few months ago, I read this quote, and it resonated with me. The truth: I wasn’t loving where my chosen career path has taken me. There was no joy in it. This happens more than you’d think with artists: you take the one hobby or activity that you deeply enjoyed and always participated in it for the feeling it gave YOU, and then you build a career out of it; you monetize it. And whether it takes one year, or eleven years, eventually it becomes distorted. You no longer find the joy, the release, the creative fire in that activity. Sometimes, you even begin to hate it. Or dread it. It transforms into this monster that has hold over you, as you strain to provide for your family, or let go of your-once-high-ideals just to make sure that you can continue in this chosen profession. Photography was a hobby I shared with my father, who was my whole world until his death by suicide nearly fourteen years ago. The camera in my hands was a way to reconnect to him, keep him with me, and I found so much solace and happiness with a camera, I thought, “Why not make a career out of this? I love doing it, and it’s so fulfilling!” The career I built was fulfilling in so many ways, but I could no longer find that safe haven in my camera. In the photography business world, it is often said that you need to run your business like a business, and that means taking emotion and personal feelings out. I see the value in this advice, because if we ran businesses with our hearts only, we would all be bankrupt in a year. However, the whole WHY of photography for me is emotional. The business part had completely wiped out that connection I found to my father through photography. So it was time to make a very tough decision, and actually, it was made a while ago. I just had difficulty putting it out into the universe because of the finality of “speaking” those words. I’m done. Technically, I prefer the term “semi-retired”, because I fully plan to stay connected to photography, and find my joy in it again. November 18, 2017 was officially my last day as Angela Powell Woulfe, Photographer. I simultaneously grieved the loss of my identity of almost eleven years and breathed a huge sigh of relief. I still plan to occasionally second shoot for my wedding photographer friends, and to work as an outsource editor, because I do really enjoy those things, but in terms of taking on my own clients and projects, things are going to be drastically different. I will be shooting for myself. I plan to work more with my daughter on photo shoots she and I design together. I want to work on developing new skills, and honing the look I always wanted to have for my photography. For too long, I shaped my work in the style of what would sell. No more! I may occasionally take commissions when the client and I share a particularly moving vision for the work, but largely, I want to find the joy again. I can’t do that when I’m focused on marketing, running a business, and how much money is in my bank account. What happens now? I have a few contracts to fulfill for the spring, and those clients will still receive the same service and finished product I always provided. I’ll slowly be taking this website down to a personal showcase and place to express myself through images, and hopefully through the written word. My social media presence will also revert to a more personal place to share. I’ll occasionally work with my peers, but largely I hope to find my way back to a career in the non-profit sector. I am excited for this next chapter. I’m hurting, too, but mostly looking forward to more room to breathe and create within my own space. And I think my family is excited to have me back as well. I’ll be able to spend weekends with my husband and daughter, and not stress all week long about what needs to be done. I thank them for their years of support, and enduring wedding weekends, never complaining when they didn’t get the time with me that they deserved. It has been a true pleasure to work with hundreds of families and couples these past eleven years. I wouldn’t trade that for anything. I thank each one of them for playing their role in shaping my career, and in many cases, my life. If you have reached out to me recently, or contact me via email, please be patient as I transition. I’m only checking it about once a week, while I focus on my next steps and being present for my family. I will occasionally post here, as I find my personal photographic voice once more. Thank you, all, for the amazing moments you included me in! Now, a photo of my muse….because without her, I cannot imagine where I might be. Absolutely beautiful — your muse and your words. I wish you nothing but the best as you refocus and find joy again. Hugs, dear friend. A Destination Wedding in Colorado? Most of us think of a destination wedding as in Cancun, or the Bahamas, or even San Diego. 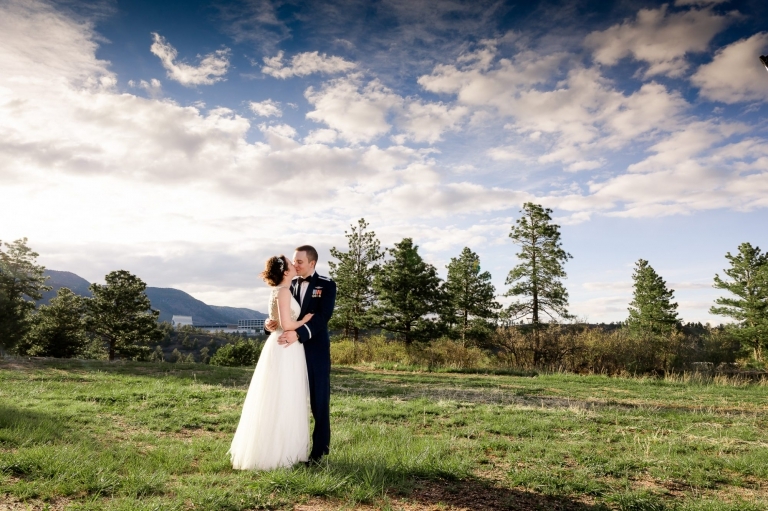 Colorado seems like an odd spot to most folks, but it was the perfect location for Meghan and Louis to finally say “I do” in May. Louis attended the United States Air Force Academy, which has an absolutely stunning chapel, so it was a logical choice. Plus, with friends and family scattered all over the country and abroad, it made sense to pick a place we would all be traveling to. Everyone arrived a few days before the actual wedding, and we basically took over Cheyenne Mountain Resort. I loved that we all had time to relax together, meet new friends, and enjoy the destination. (Overall, it’s probably the most relaxed time I’ve had shooting a wedding in many years.) I love Colorado almost as much as I love San Diego, so I was in heaven. What I was not prepared for was the blizzard I would be arriving in. I mean, it was late May! Definitely a rare event for Colorado Springs! I certainly wasn’t going to complain about having snow for photos, if it lasted, but I was definitely not packed for a wintery, windy weekend. Pre-rehearsal dinner, a few of us ladies actually had to go in search of coats to purchase, and I may have worn leggings under my bridesmaid gown. (It was freezing!!) Fortunately, the weather took a quick turn on the wedding day. It warmed up to the 50s and 60s, which was positively tropical compared to the few days prior, and the sun finally made an appearance! Meghan and Louis could not have asked for a better day. The chapel was beautiful. Evening portraits were perfect. They were surrounded by the friends and family closest to them. We even had time to take a quick roadtrip to the Garden of the Gods on Sunday following the wedding. Thank you, Meghan and Louis! Thank you for having me there with you as a friend, and as a professional. I love you guys to the moon and back, with your nerdy, brilliant humor, and passionate love for all animals. So happy to see you guys tie the knot! 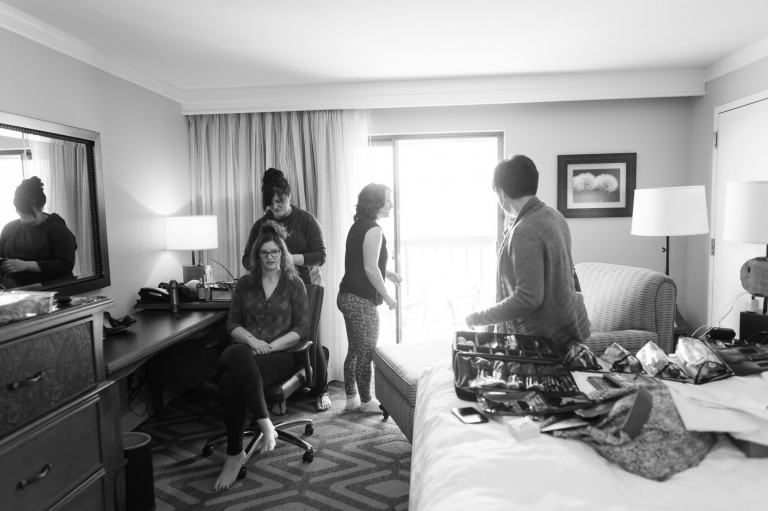 Angela Powell Woulfe is a San Diego Wedding Photographer, serving all of Southern California and capturing weddings nationwide. For current rates and availability, please email: info@powellwoulfe.com. Just a week ago, my daughter celebrated her ninth birthday. It was a little surreal to think that it was her last single digit birthday. She seems to have grown up in the blink of an eye! I haven’t been able to take birthday photos of her the last few years, as we have been traveling on her special day each year. As a family photographer, I need to practice what I preach and document all of these special occasions! Especially with a new home with lots of empty walls waiting for new portraits, it was a priority. We were in Montana for her birthday, as is becoming the norm, so we also had a unique opportunity to create some extremely memorable birthday portraits. One of my favorite things about Montana is how beautiful the Flathead Valley is. Nestled between mountains, and boasting a beautiful lake, surrounded by farmland and forest, it is certainly a location we won’t see often in Southern California. I took her to one of my favorite trails, and up into the forest on the mountainside to create stunning golden hour images. (Note: golden hour doesn’t start until about 9 p.m. this time of summer up here! It was a late night!) After spending about an hour in the woods, watching bald eagles fish, and otters play in the river nearby, we decided to capture just a handful of fun images to celebrate the Fourth of July. Happy 9th Birthday, Maddie Claire! I am so impressed with the intelligent, witty, fun young lady you are growing up to be. You are my best buddy, my partner in adventure, and my fellow animal lover. You have so many amazing things ahead of you, and I must always remember to take the time to document these times in your life, no matter where we are. I love you! 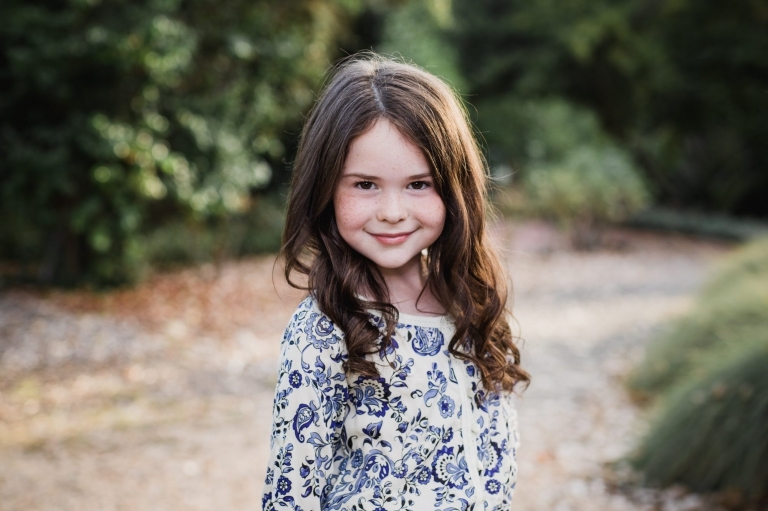 Angela Powell Woulfe is an Oceanside Family Photographer serving all of San Diego and Orange County, as well as the Inland Empire. See more on her Instagram @powellwoulfe. Well, I FINALLY have access to the internet and a computer on our road trip west! Time to get caught up on sharing some of my winter/spring engagement sessions and weddings! Matt and Christian met me at Washington, D.C.’s John F. Kennedy Center this past winter. It was an unseasonably warm day. In fact, most of my East Coast friends might remember that we had an extremely early cherry blossom “pre-bloom”, which was promptly destroyed by the hard frost and snow in early March. 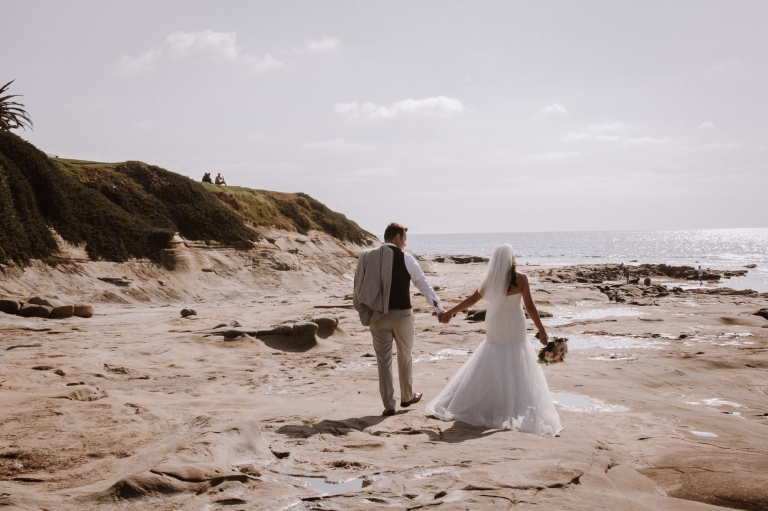 This February day certainly did not feel like a winter day, and was a great reminder of the weather I could plan on year round for as a San Diego and Orange County wedding photographer! In DC, the Kennedy Center is well-known for it’s unique architecture overlooking the Potomac. An increasingly popular place for portrait sessions, it’s also one of the few places in DC with easy rooftop access. On this particularly spectacular day, plenty of families, couples, and friends were enjoying the sunshine with picnics and gatherings on the rooftop and veranda. It was simply a perfect day in one of the city’s most iconic places for an engagement session! One of my favorite things about the Kennedy Center has to be the variety of architecture on the grounds, and how seamlessly it all blends together. The lines of the rooftop and overlook are modern, clean. The interior spaces are wonderfully balanced with light, windows, mirrors and historical displays. The grounds have a variety of water features and garden spots to enjoy – all in the heart of DC! As Christian and Matt have made DC their home, we wanted to incorporate a location that was distinctly Washingtonian. While the Kennedy Center is decidedly more modern than most DC architecture, it compliments the city beautifully. These are some of my favorites from their engagement portraits. To see more of Christian and Matt’s engagement session, and to see some sneak peeks from their wedding day, be sure to follow along on Instagram! 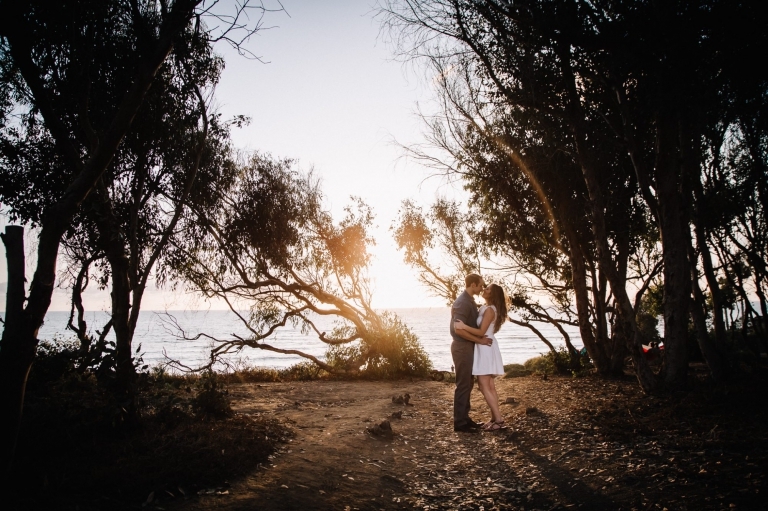 Angela Powell Woulfe is a San Diego and Orange County Wedding Photographer serving all of Southern California. Angela is also now booking destination weddings nationwide!